Fashion Roundtable host a series of on-going talks and events, including those of the All Party Parliamentary Group for Textiles and Fashion at the Houses of Parliament. If you are worried about Brexit, confused about it’s implications to your business, employment or personal life, or don’t know where to start when looking for information, let Fashion Roundtable help you with an opportunity to ask experts your most burning questions. 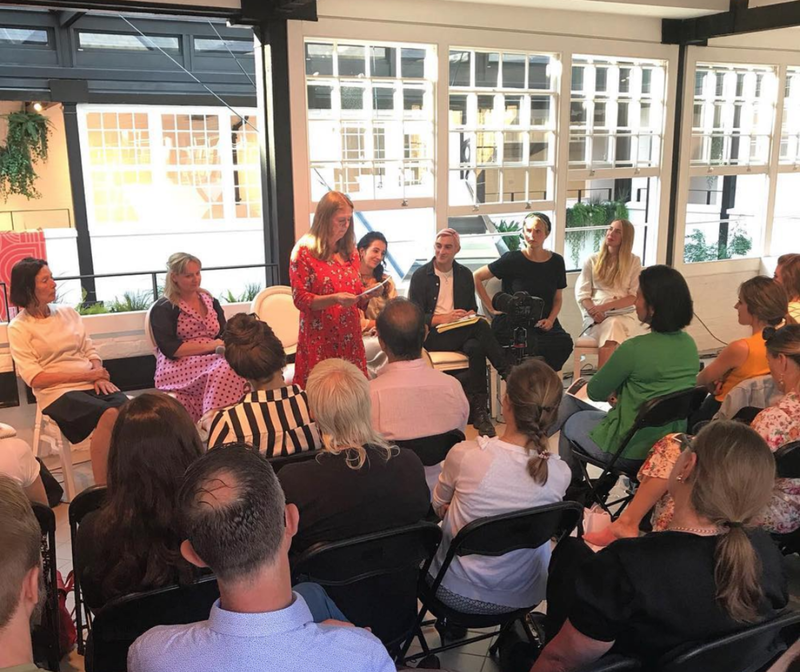 Fashion Roundtable are hosting our Fashion and Brexit Question Time evening on 29th April 2019 at the gorgeous Sunbeam Studios in West London, the leading sustainable studio in the UK. 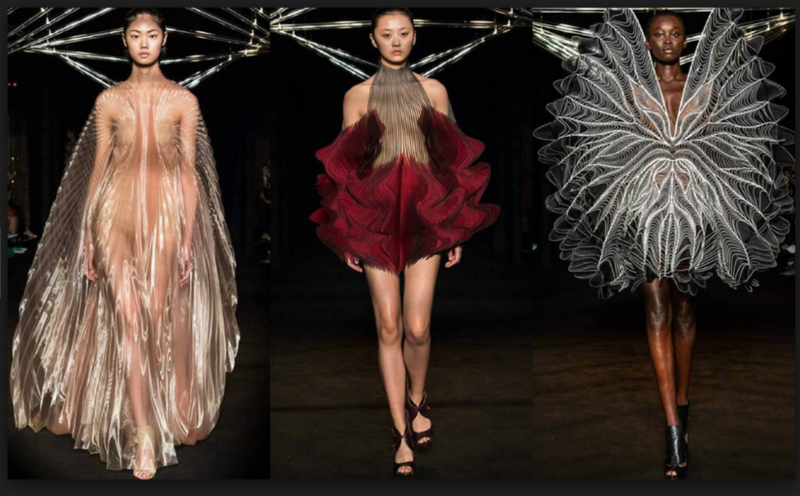 At Fashion Roundtable we understand that the UK has over 90,000 small to medium sized, yet world class, innovative fashion businesses. Many of us cannot afford to pay for expert legal, economic and logistics teams, or expensive Brexit strategy consultants. We do not have the resources, the information is confusing and we just don't have the time, or expertise. Our Fashion and Brexit Question Time will provide access for you and your business to our panel of experts to address and answer your Brexit concerns at a fraction of those costs. 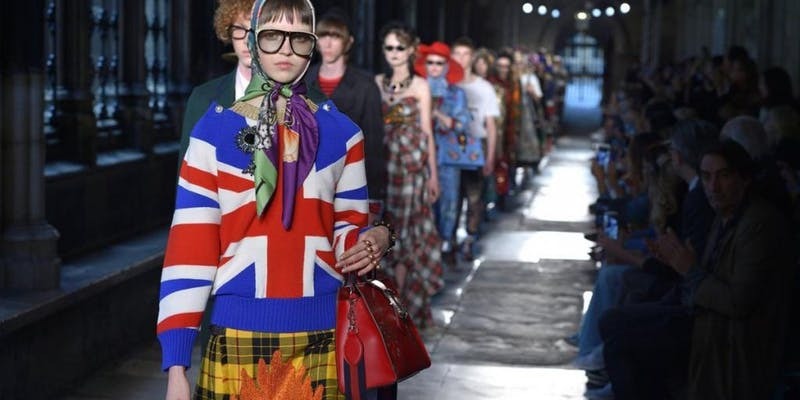 Our Fashion and Brexit Report data highlights that 96% of the £32.3bn fashion sector voted Remain and like the rest of the UK, 3 years since the EU Referendum we remain confused, concerned for their businesses and future freedoms. Our event aims to address and answer these issues. Professor Swati Dhingra Associate Professor of Economics at the LSE and Economics Expert at Fashion Roundtabe. Chaired by Tamara Cincik CEO and Founder of Fashion Roundtable. Guests can submit questions in advance toadmin@fashionroundtable.co.uk for our expert panel to answer at the event. 6.30pm: Arrival, drinks, food and networking. 9pm - 10pm: Networking and drinks. The APPG for Textiles and Fashion will join policy leaders, retailers, and academics to discuss how to navigate the changing retail environment. 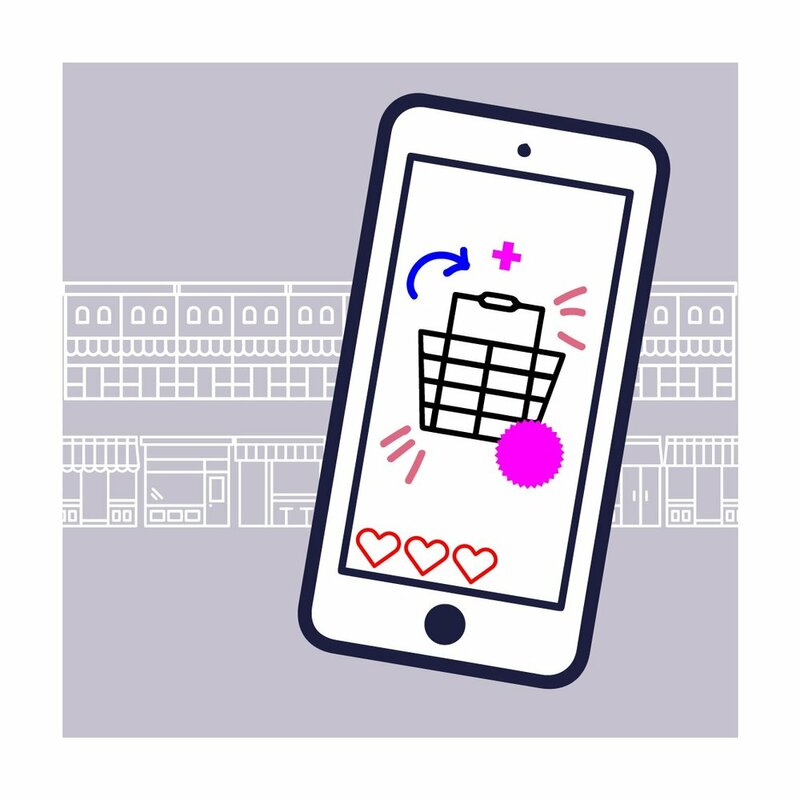 The retail sector experienced a harsh 2018, marked by closures, fall in spending and a shift to the online shopping space. Government, media and organisations were quick to respond, with the Housing, Communities and Local Governments Committee launching and concluding an inquiry into the High Streets and Town Centres in 2030. Speakers include Frances Card Advisor to Fashion Roundtable and Former COO at matchesfashion and Will Jennings from Centre for Towns. Disco balls and beaded bangles, Basquiat and royal jewels, popular culture and creativity: Fashion Roundtable Presents an evening with iconic jeweller Vicki Sarge. Enjoy an intimate Q&A discussing her work and life: from her nights at Studio 54, to working on the jewellery for Oscar winning film The Favourite; followed by your chance to create your own jewellery tutored by Vicki, in her flagship store in London's Belgravia. Coinciding with Chelsea Flower Show, this limited capacity event is your opportunity to gain access to (and learn from) a trailblazer in luxury fashion, celebrated by designers and collectors globally. Hear what drives this iconic original and enjoy your unique opportunity to create your own jewellery piece to take away with you. Your ticket includes the Q&A, workshop, refreshments and snacks, and exclusive in-store discount on items bought on the night, plus your own unique jewellery piece to take away with you. There will be a Q&A with Vicki hosted by Tamara Cincik, Fashion Roundtable's CEO and Founder, discussing her life from New York to London, and her work as a female CEO, independent store owner and global fashion icon, followed by a bespoke jewellery making workshop, led by Vicki and her team. The painstaking craftsmanship and fashion-forward spirit defining her work recalls legendary "bijoux de couture" handmade in Paris for leading couturiers, Vicki draws her inspiration from myriad sources including her own life, the energy of the late Seventies Manhattan nightclub scene, Eighties fashion, architecture, film and contemporary and ancient culture. Vicki has worked with all the fashion designer greats: from Dries Van Noten and Givenchy, to Erdem and Raf Simons, and been worn by style leaders from Beyonce and Rihanna, to Kate Moss and Emma Watson. Fashion Roundtable Presents this workshop to launch our Fashion Roundtable Community events series, highlighting the fantastic work of the fashion industry; supporting independent businesses, innovators and icons, with panel talks and limited capacity craft and creative workshops. Fashion Roundtable empower SMEs, fashion creatives, educators and independent businesses with our work on policy and consultancy. The UK has 59,395 SMEs within the fashion industry, in a marketplace where retail on the high street is more challenging than ever. 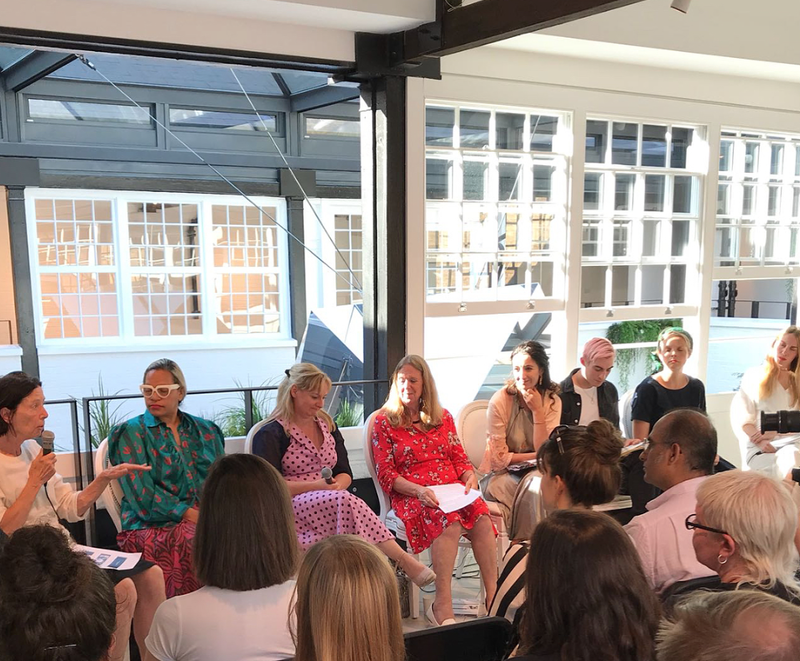 These bespoke events allow exclusive access to fashion's thought leaders and foster creativity and engagement within the Fashion Roundtable Community. Curated shop with Paradise Row, Birdsong London, Milk Tooth London and Gather and See. Speakers: Alistair Knox ASBCI, Eszter Kantor Fashion Roundtable, Samuel Nicholls Fashion Roundtable, Frances Card Luxury Fashion Consultant. Speakers: Katharine Hamnett CBE Designer and Activist, Dr. Lisa Cameron MP Chair of the All Party Parliamentary Group for Textiles and Fashion, Christine Megson Integrated Public Services Consultant and Coordinator for the Fabian Women's Network Mentoring Scheme, Karen Binns Fashion Roundtable, Carson McColl Chief Whip at Gareth Pugh and Co-Founder of Rawpowermovement, Anna Murray Co-Founder and Creative Director at Patternity, Jessie Brinton Writer and Former Features Editor at Sunday Times Style. APPG Event: Fashion Trade with China March 2018 Speakers: Jack Porteous CBBC, Huishan Zhang Designer, Alice McInerey JD Fashion, Paul Tyce VIP.com, Martyn Roberts GFW, David Lloyd Alibaba. #areyourepresented Ethnic Representation in the Fashion Industry April 2018 Speakers: Kenya Hunt Deputy Editor ELLE UK, Karen Binns Fashion Roundtable, Natasha Sivanandan Former Barrister and Race Equalities Officer, Karen Alexander Curator and Researcher at CSM, ICA, BFI, Rahemur Rahman Designer and Lecturer, Eszter Kantor Fashion Roundtable, Saiqa Majeed CEO and Founder of Saiqa London, Frederica Boateng Fashion Lecturer and Strategist. APPG event: Commonwealth Fashion May 2018 Speakers: Daniel Hatton Founder of The Commonwealth Fashion Council, Ozwald Boateng OBE Designer, Lakshmi Kaul CII, Safia Iman Global Conscious Movement, Erzumah Ackerson CEO and Founder of Bestow Elan, Sophie Charbonneau CEO of Varana World, Tamsin Lejeune CEO The Common Objective, Paige Earlam Plexus Cotton. 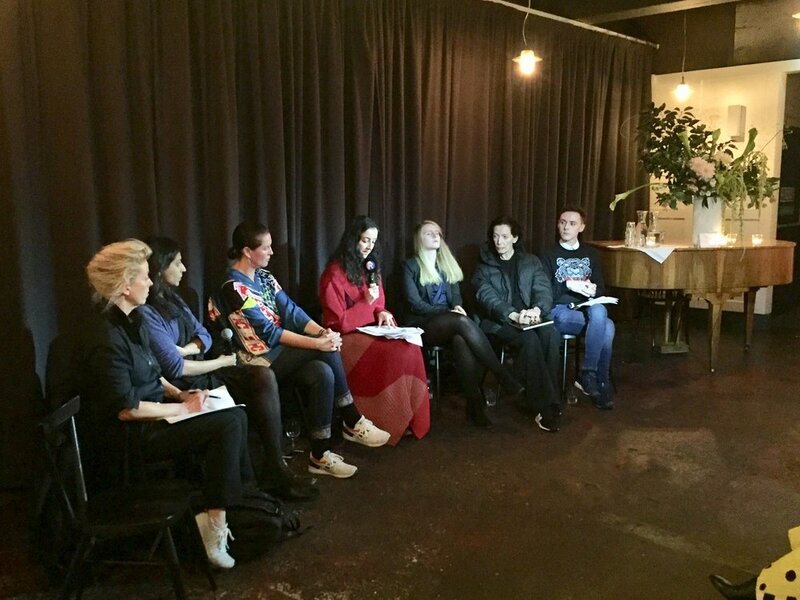 Sustainability and Geopolitics May 2018 Speakers: Anna Fitzpatrick Fashion Roundtable Orsola De Castro Creative Director and Co-Founder Fashion Revolution, Richard Malone Designer, Bethany Williams Designer, Daniel Hatton Founder of the Commonwealth Fashion Council, Christina Tiran The Sustainable Angle. Body Image and Identity Politics June 2018 Speakers: Caryn Franklin MBE Academic and Multi-Platform Broadcaster, Rebecca Weef Smith Editor of Goldie Magazine, Grace Victory Vlogger and Author, Grace Woodward Presenter and Stylist, Kelly Knox Model and Diversity Advocate, Jacob Mallinson Bird Academic, Model and Drag Artist. 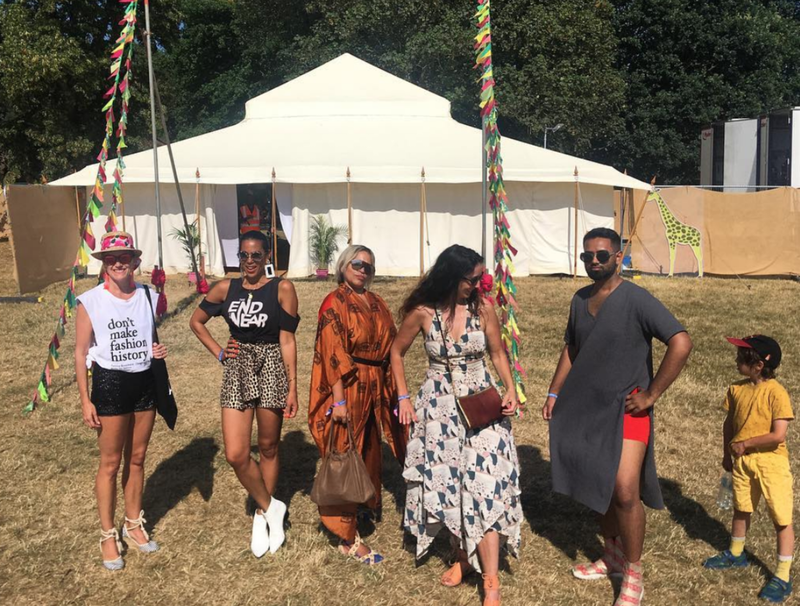 #areyourepresented Wilderness Festival August 2018 Speakers: Dr Royce Mahawatte Senior Lecturer in Cultural Studies CSM, Bev Malik Fashion Roundtable, Rahemur Rahman Designer, Isabella Silvers Digital Commercial writer Hearst and Hearst BAME.